Anyone driving over the Santiam Pass to reach Central Oregon will recall looking down onto the expanse of Suttle Lake. This 1.4 mile long body of water has an inviting look to it in the heat of summer. 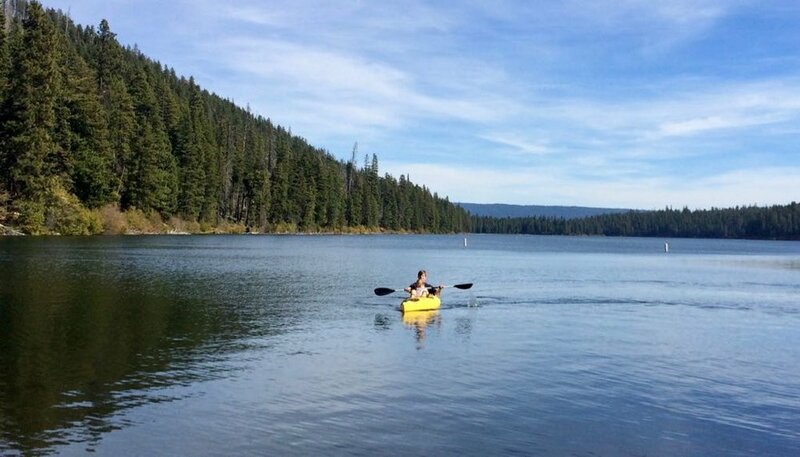 Suttle Lake is great for kayaking, swimming and other water sports. When the water conditions are good, the lake is excellent for swimming. For those of us who enjoy open water swimming, the opportunity to swim a mile in reasonably warm, clear and fresh water is always a pleasant one. The water temperature varies quite bit with the season, but is usually in the mid-60s—almost twenty celsius for those that prefer metric—during the summer. The Suttle Lake Lodge at the east end of the lake is a great place to stop for a post-swim bite to eat, and they also rent various watercraft, if you would like someone to accompany you on your swim.